IT’S DONE! IT’S SUBMITTED! I’ve been semi-actively working on this for about two months total. One month was just spent waiting for a brewer’s bond. The last week the paperwork was a little more furious…bank statements, financial statements, checks, re-revising some layouts. I do have to say, the Federal Division of Alcohol, Tobacco Tax and Trade Bureau has THE BEST customer service. No waiting. Knowledgeable representatives…and they are all super nice. I did not expect this. I get far worse service with my local phone provider and utilities. On the day of submission I was on the phone with them at least a half dozen times and they were very helpful. Now, it is on average 90 days until submission to approval. Just an FYI. 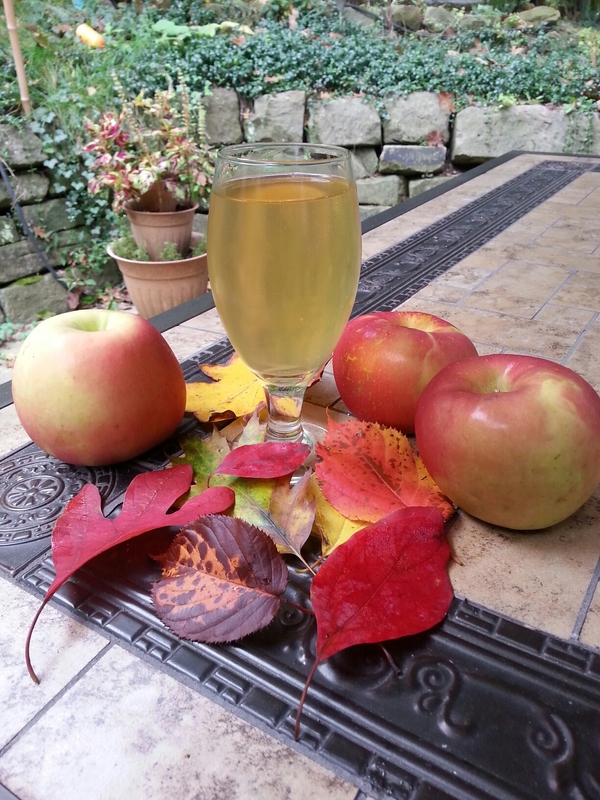 Cider-it is ‘sparkling’ but it doesn’t hold any foaminess like beer does. It’s more like champagne. This batch is a year old. Probably into January sometime. That’s ok though. A little extra time will only be better for you. From many comments on Facebook, The Valley is extremely excited for opening day. So much so that my wife and I are discussing opening up for lunches too at the beginning where you can get a Chili-dog , BBQ pork Sliders or Pulled pork/regular nachos and a Session beer for $6-7 (for example, we haven’t spec’d costs yet). I mean your options are McDonald’s or Mexican at the moment. Would you want a third option? That is still up for debate. Give me your thoughts on Facebook if you have an opinion on this. 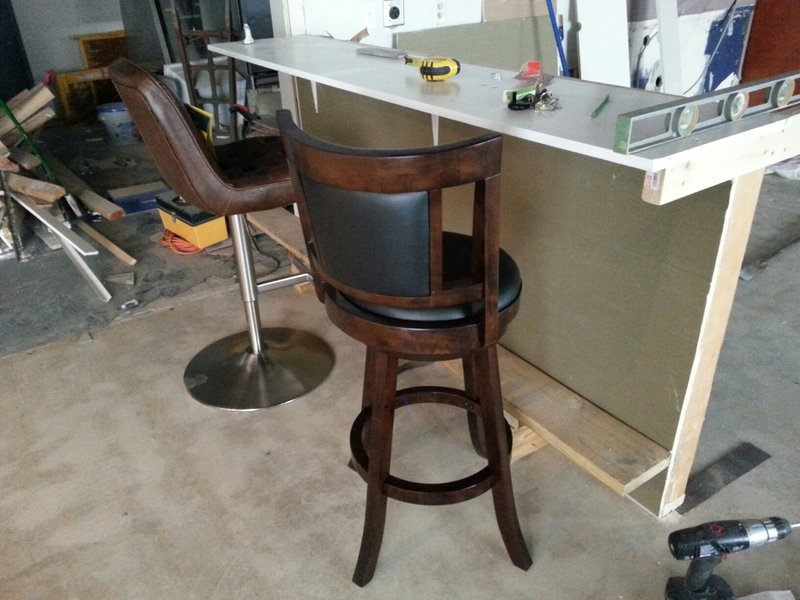 We have gotten four different bar stools to test. I have also built a quick-n-easy transformable five foot bar where I can adjust the bar length from the center, and also adjust the foot rests. This is so we can get the perfect, most comfortable sit. Many bars we are finding out are only 8-12 inches wide from wall to front. If you are eating, that leaves a huge gap for food to fall into your lap – even with your seat in all the way. I’m trying to make the case for a 16 inch bar from the wall to you. That way if you pull your seat in all the way, your knees don’t hit the wall AND if you are eating, you are much closer to your food. In a week or two I will be asking for test subjects to try this out. We made a final tile count of what we saved and can salvage and with our bar outline, we are in good shape. We may only need a box or two of new tile. YAY! 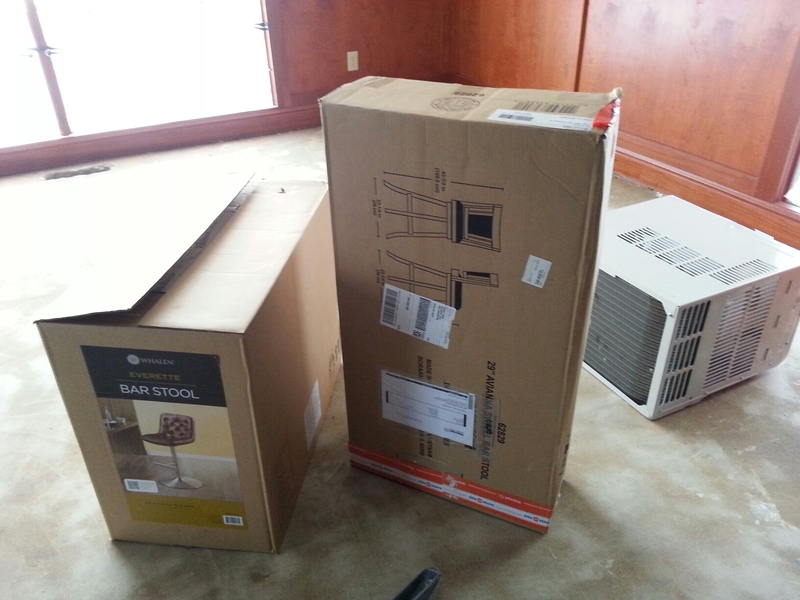 Now that most things are in-place, the bills are coming in. Gas, water, electric, rent, insurance are all now hitting monthly. Every month unopened ads-up a lot. Of course I had this accounted for in startup costs in my spreadsheet, but still it stings a little. I picked one of the few businesses where you can expect to pay 3-6 months in operational costs before being able to open the doors. One really has to WANT to brew beer to get into this business. This in itself begs a question, why did I decide to jump into this given the headache? First, my nature is being a pleaser – though not in the conventional sense. It’s more for the things I create. I want to create things that people love, that people can use. That satisfies me. I love beer. I would like you to love the beer I make. I want to make you happy via my liquid libations. I want to help enhance your lifestyle. Second, I like manual labor. I do. Making beer is 95% manual, mostly mindless labour. Manual labor keeps me healthy. Three, the creativity. If I’m not creative, I’m bored and anxious which usually turns me into somebody my wife doesn’t care for 😉 . Beer is art. Beer is figuring out what ingredients work together. Beer making is highly creative. Being that I don’t do ‘cloner’ recipes and the fact that I currently limit myself to only US ingredients, this forces good creativity, to figure out issues. Four, I’m big on being an ‘efficiency expert’. I love to work current processes and try to streamline them to make it take less time while keeping or exceeding the quality. Beer making offers that in spades. So that is a little about me. This week we are removing the last of the tile in a hallway area. I also decided to convert an existing floor drain into a trench drain. Not that I really need it on this scale, but just easier to clean up messes. I just would squeegee any spills into the drain. Most of any spill will be less than a gallon which I could surely mop. But, another reason this location and building are perfect, with the convenient unused floor drain between my brew equipment and fermenters and also the convenient foundation separation between the two building I am renting, taking a little extra time to put in a trench drain is a no-brainer – even if I could just mop up any spill. After this is done I will rent that tremendously cool concrete scraper with the three circulating, rotating blades to finish the floor so I can get it sealed and ready for equipment. Dude we are truly kindred spirits! All of the things you said in your “More About Me” section are verbatim what has been going through my head regarding my business, just a different product. I opened my own fitness training studio 5+ years ago and it went really well at first, then I made the mistake of expanding to a second location and suddenly found myself in more of a manager role that tooke me away from all the things I was passionate about in the business. It has been a steady decline in success since and now I’m looking at closing up by the end of the year. I was in a really bad place for a while over the last year until I got into home brewing. It has given me a new outlet for creativity just as you describe, and who knows maybe my next career.